Q1. Why should I consider spending substantially more for the high-efficiency units? A1. The difference in energy savings between the equipment with the lowest efficiency available and energy efficient equipment can be up to 30 percent. Your local utility company should be able to calculate your annual energy savings and this should aid in making a purchasing decision. However, you may want to consider the environmental impact inherent with energy efficient equipment, and/or other incentives, such as a better warranty, quieter operation, better humidity control, and rebates offered by some utilities. Just be sure that you don’t quickly overlook all the benefits of energy efficiency and make a decision based solely on the system’s initial cost. Q2. What is that smell that occurs each year when I turn on my furnace for the first heating of the cold season? A2. 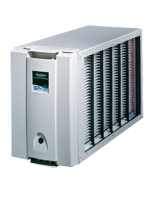 That smell is the result of dust accumulating on the furnace’s heat exchanger and meeting high temperatures. After all your furnace has not been used for around six months and the most of us don’t dust the equipment in our mechanical room. Typically the smell disappears after a couple uses at the beginning of winter. Q3. Should I just go with whatever the builder recommends for my new home? A3. The builder is not liable for paying your future utility bills, so NO. You should take a proactive role in all energy-related design decisions. That means researching different products, equipment, material, and systems. For example, sheet metal holds many advantages over other materials and that’s why it has been the commonly used material for HVAC systems. Q4. What about the environment? A4. The large amounts of sheet metal used in heating and air conditioning systems is made of basic metals – such as steel and aluminum – which feature high recycling rates. So if you ever need to replace the entire system, the duct can be removed and taken to a recycling plant. Q5. How do I reduce duct leakage? A5. A great way to improve your systems efficiency is to caulk all openings in unconditioned space (basement, attic, etc.) and to tape all seams of your duct and round pipe. When caulking, make sure you get a caulk that is meant to handle extreme temperatures; in fact, they make a caulk specifically made for HVAC purposes. You can use standard duct-tape to tape your seams, but using the silver, shiny smack tape is much better as it seals longer and looks much better. Q6. How often should I replace my furnace filter? A6. There is no single answer for this question because it depends on the style of filter used, the frequency in which your system operates, and the season, pets, and geographic location. For more information contact Pharo Heating and we’ll help you determine your maintenance schedule. Q7. Should I close off the registers (aka diffusers, vents, grills, etc.) in unused areas/rooms in my home? A7. You should not close too many registers in unused areas because this can cause comfort issues. By closing registers you are restricting the airflow across the heat exchanger, causing the supply air temperature to go up. So you get short blasts of hot air, then the furnace shuts off because the thermostat is satisfied, and then you will begin to feel cold drafts. The system in your home was designed to run with all of your registers open. The only time you should be closing your registers is if one area gets to be way to hot or cold compared to the rest of your home! Q8. Should I set-back my thermostat? A8. It is alright to setback your thermostat a couple degrees (1-4 degrees) if you are going to be gone for an extended period of time (gone for over 8 hours, going on vacation, etc. ); however you don’t want to be changing your thermostat setting back and forth all the time. On the contrary to what many public service companies say (such as utility companies) setting your thermostat back for short periods of time will cause your furnace to run longer when you want to turn it back up, which takes a lot of fuel and energy. Doing so will actually cost more than if you where to leave your thermostat setting where you normally set it while you’re home.